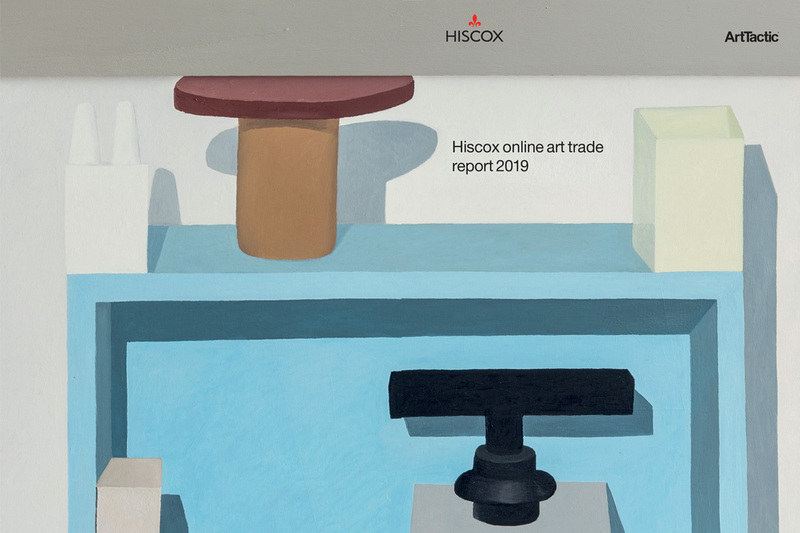 It is that time of the year again when the annual Hiscox Online Art Trade Report is released, with the latest findings about the state of the market on the web. A look back at the year 2018 reveals that it was a steady one, although there is a decrease in the platforms’ trust towards a brighter future of the market. Contributing to this is the global political and economic uncertainty as well, which is likely to have an influence on online art buyers in 2019. 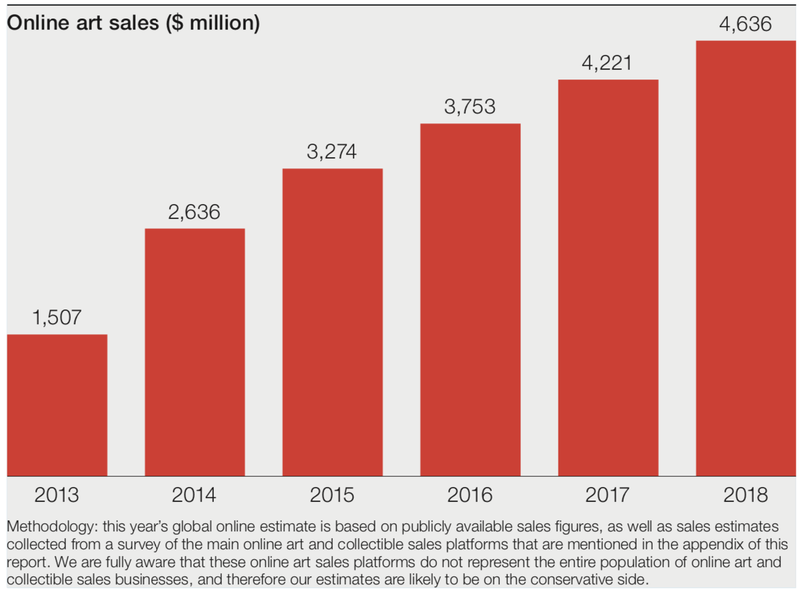 Nevertheless, the online art market grew 9.8% in 2018, reaching a total of $4.64 billion, which is a 12% slowdown compared to the Hiscox 2017 findings. Despite that, leading auction houses Sotheby’s, Heritage and Christie’s interestingly show an online growth between 11% and 17%, and the current buyers are buying more online as well, giving out the impression of an overall positive status. The report also goes to list key moments of 2018, among which there is Sotheby’s decision to bring back feels for online-only auctions, Gagosian’s own online salesroom in June, and Christie’s collaboration with blockchain registry Artory in November. Below, more highlights from this year’s report. Cited as one of the possible reasons of the slower growth in 2018 is the under-investment in technology, particularly by non-auction areas of the industry such as galleries and dealers; these two factors in particular are still hesitant about whether they should “trust” the online trading or not, and how they should use it. The report predicts development in the coming months however, given that big players like Zwirner and Gagosian have invested in this aspect by creating online viewing rooms. Compared to 96% of online platforms who in 2018 felt positively about the online art market in the coming 12 months, in 2019 the number went down to 77%. 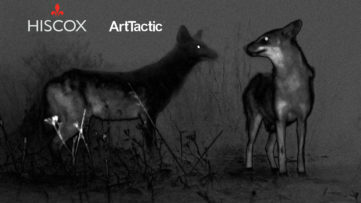 Another conclusion is that larger online art platforms will continue to absorb smaller niche players in order to either broaden their geographical reach, or to get access to new collecting segments. Fifty percent of the online platforms expected online auctions to be the most competitive sector last year, yet only 18% of them believe this would be the case over the next 12 months. Many of the surveyed platforms also launched their own data and analytics databases, as 31% of them said this would be an area of great competition last year (for this year, only 11% believe so). 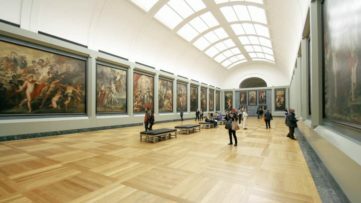 This could signal that art data and analytics businesses are still struggling to find the best way to monetize the investment in data infrastructure and analytics for the art market. Another obstacle for half of the platforms was logistics, ie. delivery and customer fulfillment. 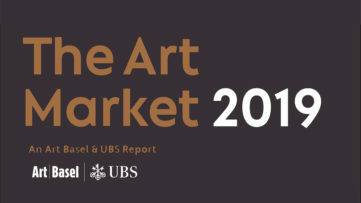 From the buyers’ standpoint, 55% of the surveyed said they were likely to buy more art over the next year (which accounts to 3% more than in 2018). Thirty-five percent of the surveyed buyers said they visit places where one can buy art directly online a few times a week, a slightly greater number than in 2018. Those spending over $100,000 a year on art have the highest frequency of visits, with half of them visiting art sales platforms a few times a week, same as 35% of those spending $1000 or less on art a year. To no one’s surprise, 55% of millennial art buyers discover online art platforms through social media, but also through word of mouth from friends and media coverage. Fourteen percent more of them compared to 2018, now prefer buying art online; 24% of them also prefer using their mobile device to purchase artworks. Among those under the age of 35, 40% said they had bought art and collectibles in the past 12 months, accompanied by 44% of all art buyers surveyed who also did so. Seventy-nine percent of the buyers bought art on the web more than once, a trend which seems to be going up over the years. 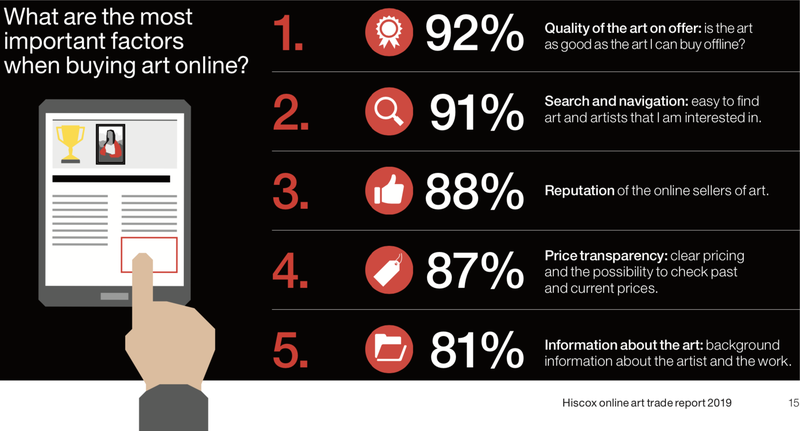 Two-to-three different online platforms are used by 55% of the online art buyers for their art purchases, suggesting that there isn’t yet one single destination for the majority of them. Forty-six percent of the art buyers remain indifferent to online vs. offline buying (up from 41%), which also signals that a large share of the art buyers see online as just another channel, rather than a substitute. As shown by the Hiscox Report, over the last four years Instagram has been taking the role of the dominant social media from Facebook, with 65% of all survey respondents saying it is their preferred channel for art-related purposes (2% more than last year). 80% of them uses Instagram to discover new artists as well. 67% of all respondents (73% of respondents aged 35 and below) said that the posts by artists and their studio had the biggest influence when buying an artwork, followed by 68% who said social media posts by the artist’s gallery carried most significance when buying an artwork by an artist. What kind of art are people buying online? According to the report, more and more buy unique works – paintings, drawings, and sculpture, although prints and editions at lower prices are still the dominant medium for millennial online art buyers – 79%/74% of them had bought a print/painting online in the last 12 months. Most of them, or 78%, said their average price was $5,000 and below, while 33% bought it for more than $5,000. For 64% of the online selling platforms, the biggest challenge in increasing sales is building consumer trust. On the other hand, 74% of the buyers cite not being able to physically inspect an artwork as their main reason for not buying it, while 60% said a key obstacle was establishing the reputation of the seller. The fear of buying a fake or an objects which is not what it looks to be is a problem to 62% of those surveyed by Hiscox. When it comes to cyber security, there is concern on both sides. Among the online platforms, 21% is (very) concern about the threat of cyber crime, with the number of victims of ransomware attach or wire transfer fraud increased compared to 2018, 36% in both cases. 40% of buyers sees it as a major issue as well, worrying they might get caught in email fraud, data theft, payment and invoice interception, as well as credit card hacking. In 2019, the talk of the cryptocurrency market and blockchain technology continues to no particular conclusions. Tokens released in 2018 by companies like Maecenas and Artbyte have fallen in value (from $65 million in January 2018 to less than $500,000 in January 2019, and from $30 million to just over $800,000, respectively). While younger generations of buyers are inclined towards buying (mostly digital) art linked to or built on blockchain, their actual number is almost irrelevant. Only 10% of the online art platforms are currently accepting cryptocurrencies as form of payment for artworks, with 14% of them planting to add this feature in the coming 12 months. As a fairly optimistic conclusion, based on the current growth trajectory, the report estimates that the online art market could be worth as much as $9.32 billion in five years’ time. Let’s wait and see! For the full report, please scroll down!